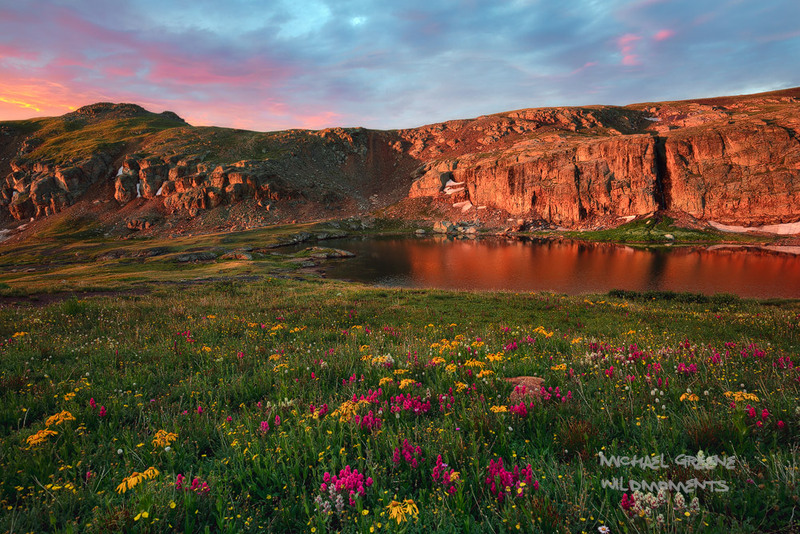 Alpenglow around sunrise on a stormy summer morning at Bullion King Lake in Porphyry Basin near the Red Mountain. The wildflower display includes: sneezeweed, indian paintbrush, and bistort. Details about this location are listed in my book. Photo © copyright by Michael Greene.